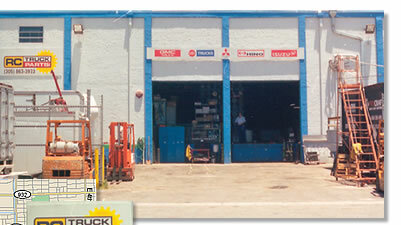 We are a family owned business with more than 25 years of experience in the field of truck parts and repairs. Located at 745 West 27th Street in Hialeah, Florida. We specialize in medium-duty truck parts including automatic transmissions and soft-and-hard parts for Mitsubishi, Nissan and Isuzu. We will meet your needs efficiently and at the most competitive prices. We invite you to call us at 305.863.3933, email us at customerservice@rc-truckparts.com, or visit our products page and get acquainted. As you get to know us, through our service, you will find that more than a valued customer, you will be regarded as a friend of the family.